Recently I have been lusting over my Fuschia Eye Palette and I have been using it all the time! It is filled with amazingly beautiful colours that can create a basic brown smokey eye for during the day and a sparkling purple look for the nights out! I have loved using the oranges and purples together to create a simple yet creative look and it is so simple to do! I am no make up artist but I really enjoy playing around with this palette to create many looks. 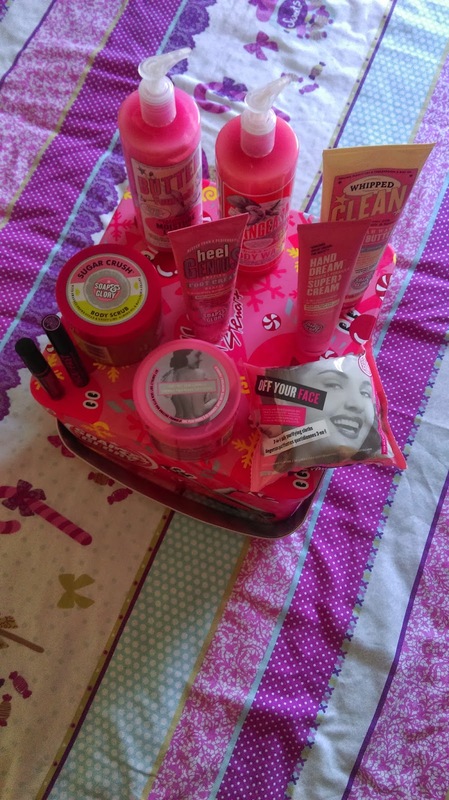 I got it at an amazing price, it was originally 45 Euro but recently Fuschia had an offer on...3 palettes for 25 Euro!! So I went crazy and bought myself 6 Palettes! Lol, I have an obsession I know, but how could you not buy something like this when it was so cheap! I wore this look over the Christmas Holidays for a meal with friends, I got loads of complements off them so either they are being nice to me or they love it as much as I do!! 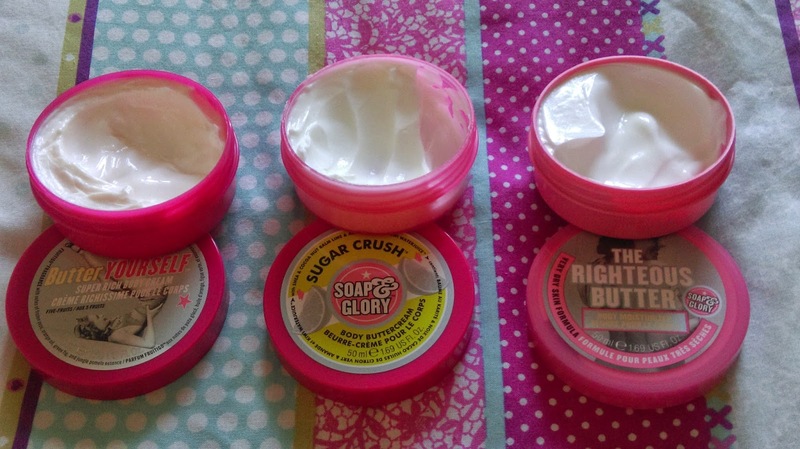 Since I can remember I have been a major fan of Soap & Glory's products. I cannot find one brand that is even half as good as this one and although it has a slightly bigger price tag than other beauty products, it is worth every penny! 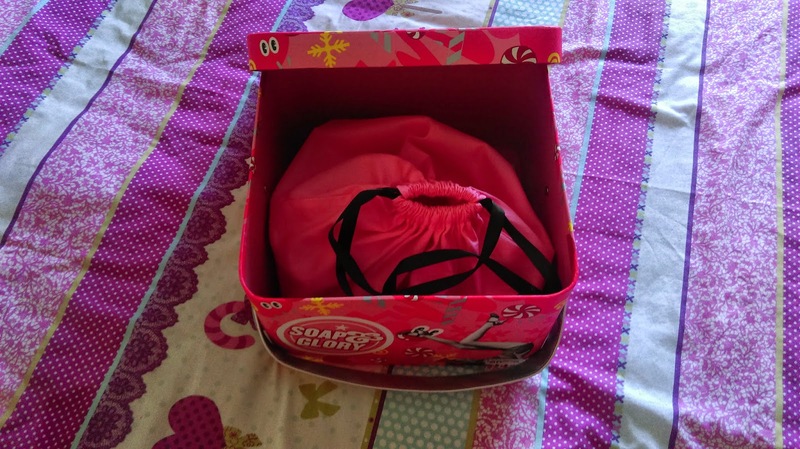 My friends and family know how much I love all things to do with Soap & Glory that this year I received not one, not two but three pampering sets! From the smallest to the largest set, each one of them brought me great happiness and soft skin this cold winter! 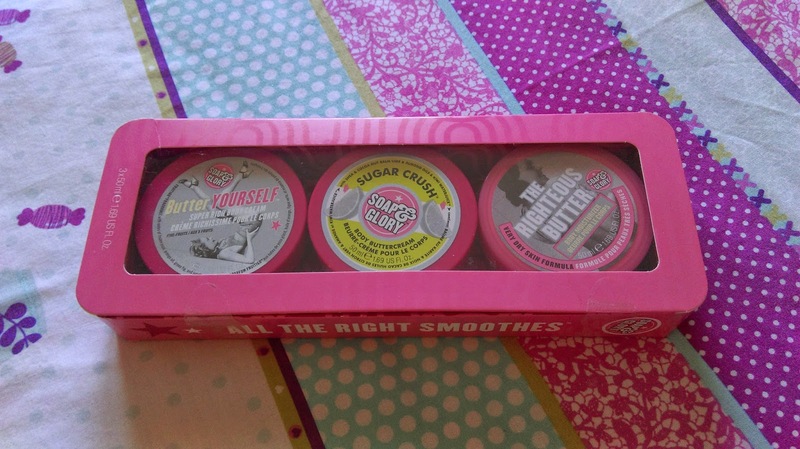 These beauties are great for first time buyers of Soap & Glory. The brand is famous for its amazing body butters and this set gives you three of the best to try out. As these are only the miniature size they are perfect first time buy rather than breaking the bank on some of the larger sets. This set costs ten euro! 'The Righteous Butter' and 'Butter Yourself' have a creamy, vanilla scent to them and 'Sugar Crush' have a citrus, fresh scent to it! Each one perfect smooths the skin leaving it feeling soft! As I have many travel plans for 2015 this set was the ideal gift for me! 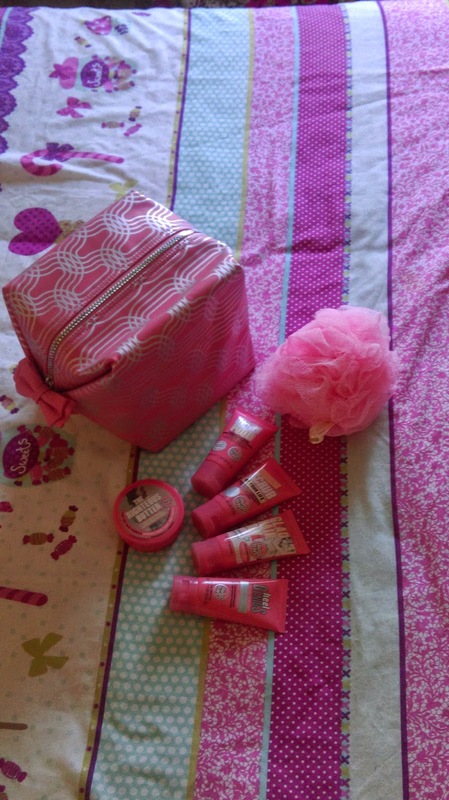 It came with 5 products and a lufa all in one pink travel bag! The bag could fit was more into it so this will come in handy when packing as I can fill it full of more essentials. 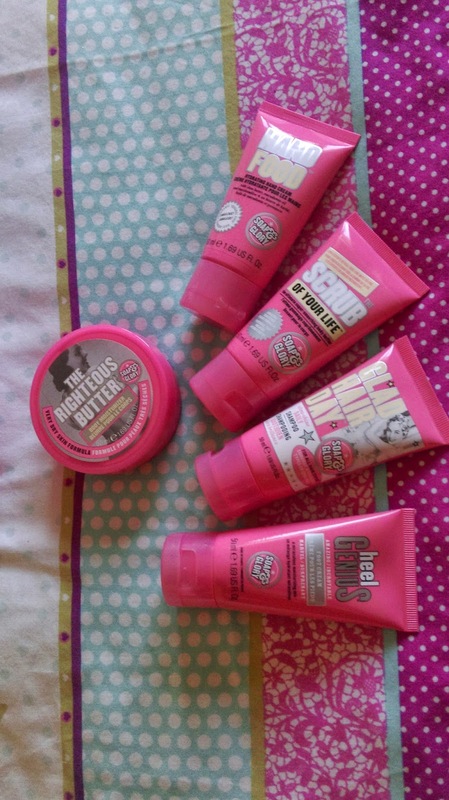 My all time favourite Soap & Glory product has to be 'Heels Genius'. It is the worlds best foot cream, I swear by it. A week of putting a pea sized amount on your feet makes your feet so soft and gets rid of any hard skin. 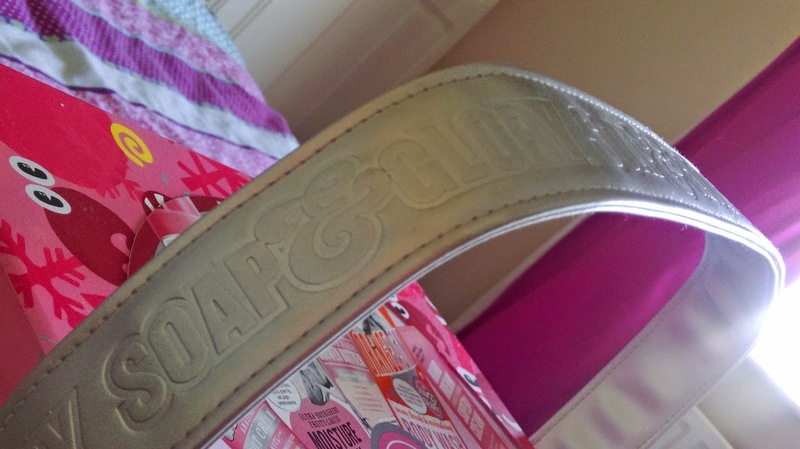 'Glad Hair Day' is a product I'm still yet to try but I cant wait to try my first Soap & Glory hair product. 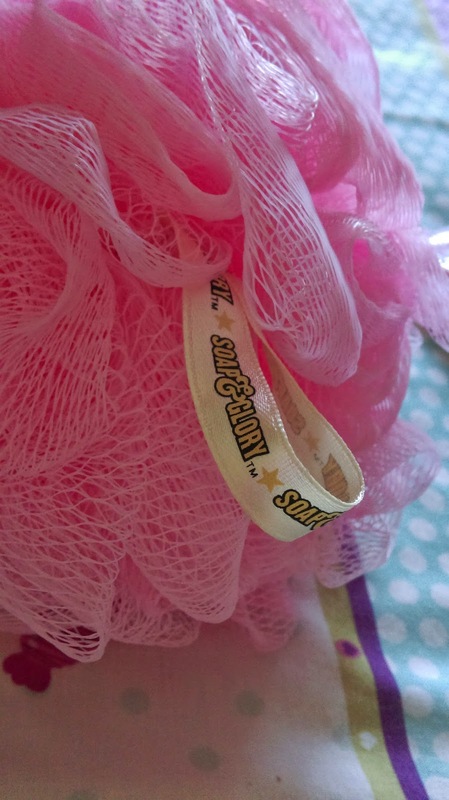 'Scrub of Your Life' combined with 'The Righteous Butter' after your shower leaves your skin immensely soft and flake free. And last but not least 'Hand Food' is the hand cream you will never run out of. 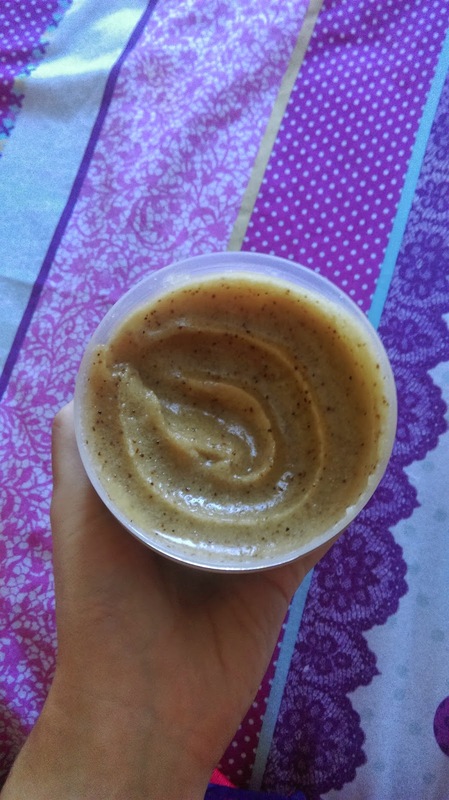 One small squeeze of this cream and your hands will be moisturised all day long. 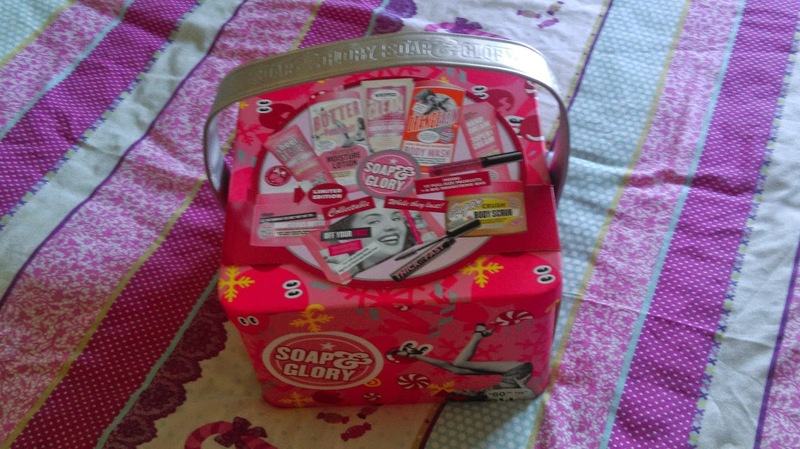 Each Christmas, Soap & Glory realise a huge set full of their best sellers. This year was even better than before as it was filled with 10 full sized products, some of which are new to the shelves! The box is always different and quirky! I love love love the design yet again this year. 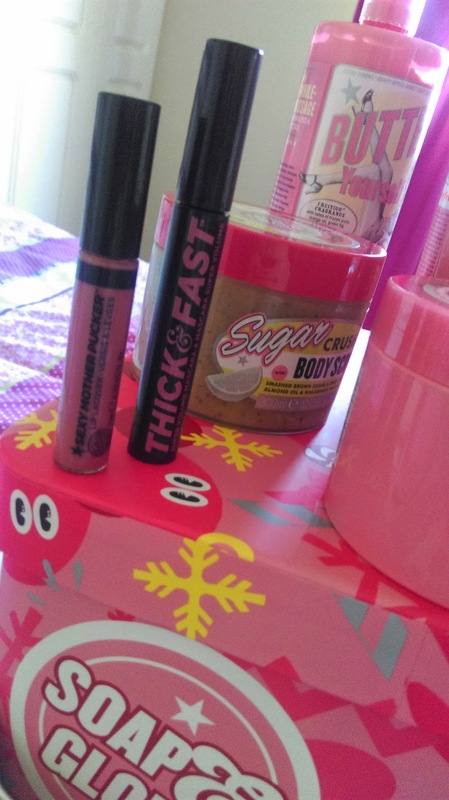 Some of my favourites are 'Thick and Fast' Mascara and 'Mother Pucker' Lip Lacquer. These are gems and amazingly good at their job. The mascara is as good as if not better than the 'They're Real' mascara by Benefit. The lip lacquer gives long lasting colour and moisture to your lips and the shade is bound to suit many skin tones. 'Sugar Crush' Body Scrub is also a love of mine as this removes all dead skin and grubby tan with little amount of product. It has a refreshing smell to it and it even leaves your skin brighter!